It is very often suggested that China and India are best placed for a recovery owing to their domestic growth, while big commodity exporters such as Russia and Brazil are stymied by reduced demand. However, while Russia is struggling with an array of problems, Brazil is becoming less reliant on exports and has been hugely oversold. It is now on an average valuation of eight times earnings, compared with an historical average of 12.5% over five years. The traditional stance on Brazil has been to focus on its high dependence on oil and exports, its heavy Government debt burden, ineffective Government and fiscal policies and a history littered with crises, but it has become less reliant on exports, particularly on exports to the US, by stepping up its trade with Europe and Asia. 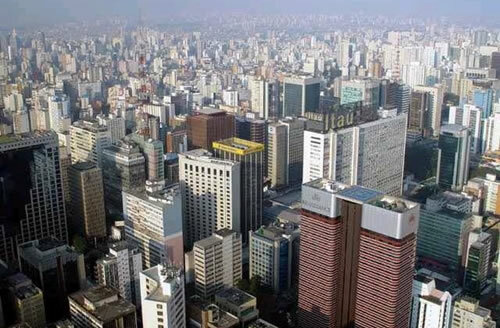 Brazil's Government is now following standard orthodox economic policies and at the end of last year the central bank increased base rates to counter the threat of inflation, so there is growing confidence policymakers will behave in a predictable way. The big focus, predictably, is on the domestic growth story, based on a population improving its standard of living with higher disposable income and a high ratio of young people developing a taste for all things Western. One New York-listed play on the growing aspirations of Brazil's consumers is Ultrapar Participacoes, a specialty chemical company that makes bottled gas for cooking, and other products geared for the consumer such as contact lens solutions and DIY paint. Another blue chip is Lojas Renner, the largest publicly traded clothing department store, which has fallen recently on lower sales than expected at Christmas. In banking, Banco Bradesco (BBD) and Itau (ITU), also both listed in New York, are plays on the growing wealth of the consumer. One attractive small operation is Daycoval, which is very profitable with no credit deterioration. In construction, Duratex, which produces wood panels and ceramic fixtures for toilets, is trading at close to book value and has a very conservative balance sheet. The company is also benefiting from Government efforts to stimulate the building sector. State oil producer Petrobras has been growing consistently in recent years. Hard hit recently, as oil prices fell, it is a good quality reasonably priced company with an interesting and expanding production profile, still making new finds that are economically viable. This is in stark contrast to Russia's oil producers with their dropping flows and greater production costs. Interesse in de marktkansen voor uw bedrijf in Brazilië? Transfer Consultancy verleent inzicht in de Braziliaanse markt aan bedrijven variërende in de oriëntatiefase tot aan bedrijven met uitgesproken interesse in een bepaalde regio of sector. Door middel van marktonderzoek in Brazilië krijgen bedrijven een betere kijk op hoe zij het beste hun producten en diensten kunnen verkopen op de Braziliaanse markt.